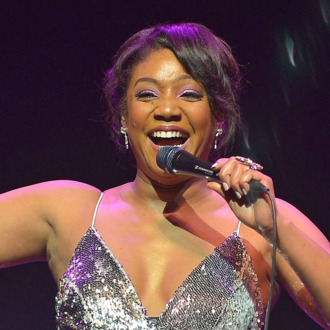 Tiffany Haddish is returning to Netflix soon, and she’s bringing some of her favorite up-and-coming comedians along with her. The streaming network announced today that it’s added a six-part series executive produced by Haddish, Wanda Sykes, and Page Hurwitz called Tiffany Haddish Presents: They Ready, in which Haddish will introduce performances by six comedians she personally chose to perform: Chaunté Wayans, April Macie, Tracey Ashley, Aida Rodriguez, Flame Monroe, and Marlo Williams. All six comedians are people Haddish has worked with before in television or stand-up, with past credits including The Last O.G., Wild ‘n Out, Last Comic Standing, Def Comedy Jam, and ComicView. “I am introducing six of my favorite comedians — in my eyes, they are superstars. The epitome of They Ready,” Haddish said on the news. A premiere date for the series has not been announced.